It’s Friday the first in February! And I love alliteration folks. But it’s the first of the month and that means a new monthly spread in my Blessed Is She planner! And I am just so excited about it. I was debating between going full-on Valentine’s theme. 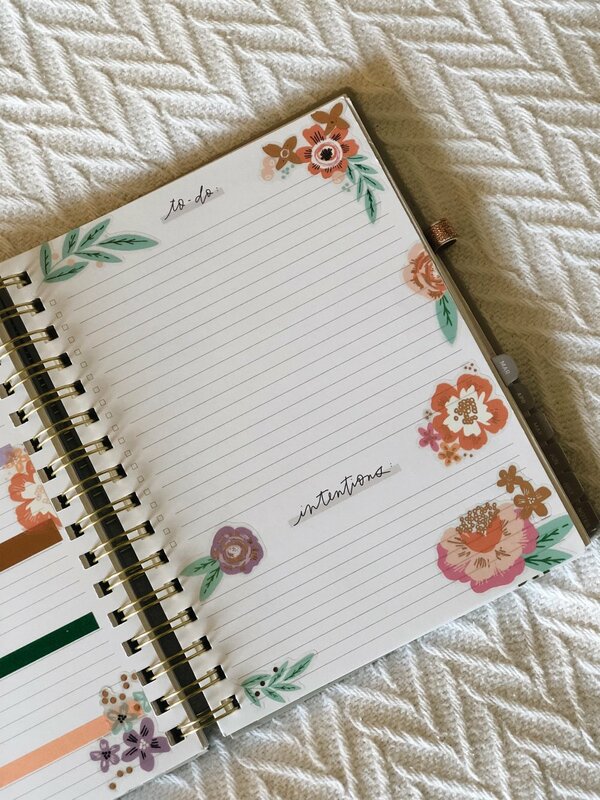 But I decided on a subtler floral theme because I am craving spring time and pleasanter weather. 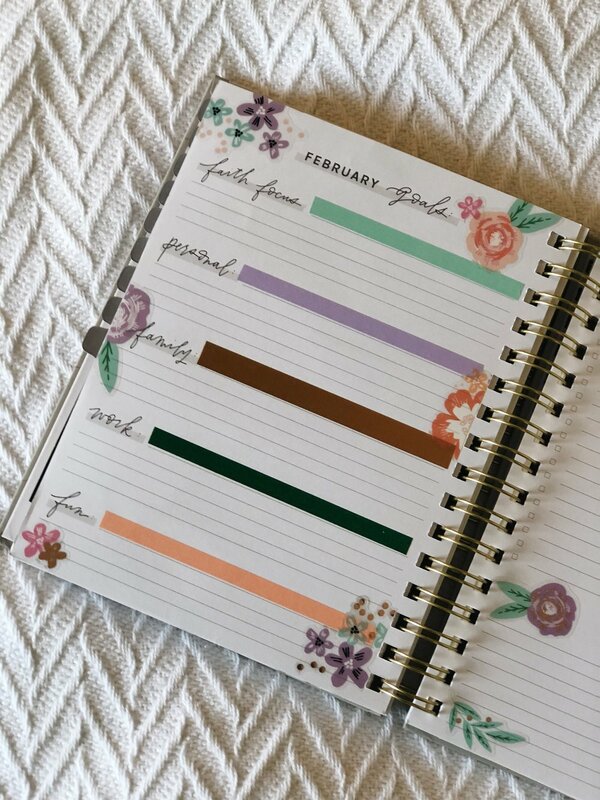 I saved the Valentine’s theme for my bullet journal habit tracker. Now important question: What team are you on? Are you on the academic year planner team or the calendar year planner team? I’ve always leaned towards academic year planners because I was in school for 47 years and it’s just stuck. 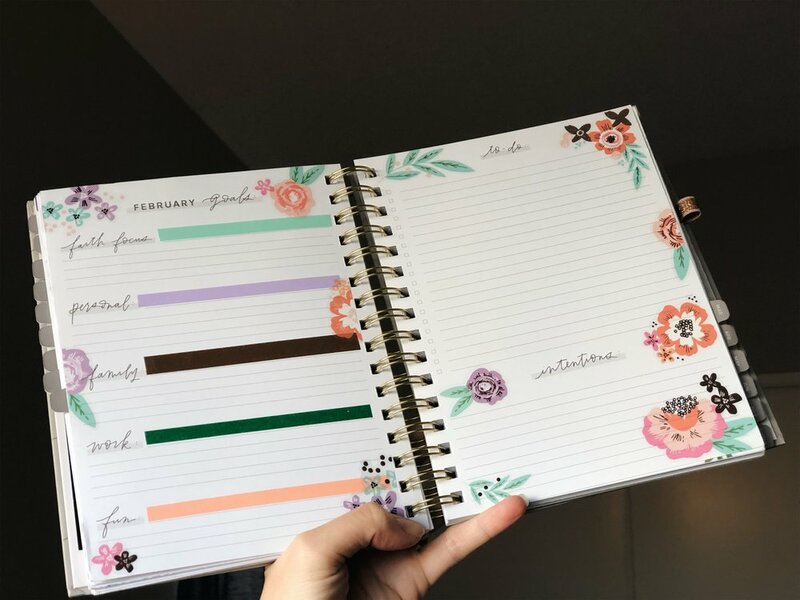 But every time I think of switching to the calendar year, I get anxiety because that means I’ll have a planner lapse between August and January! GASP! Or I’ll have a planner I’ve used from only August through December then I’d have to start over! DOUBLE GASP! Yes I realize, these are interesting things to obsess about, but hey, I’m my own version of weird. So where was I? Yes… Team Academic or Team Calendar! Place your votes! Or the other one, team bullet journal? Or all three? Or travelers notebooks? Or digital planning? So many good thing. I’m team #planneraddict.